Buy in our online shop. 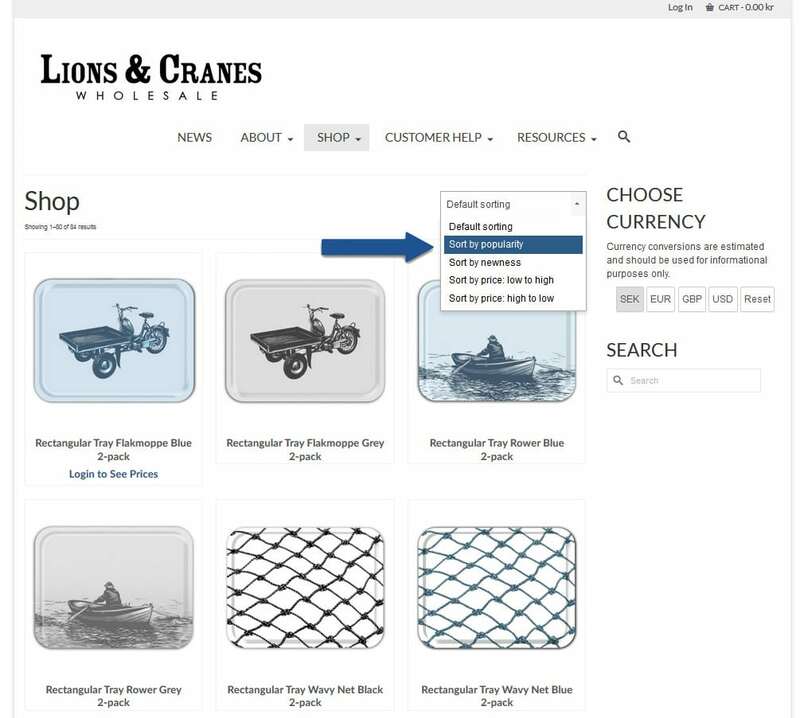 Double tap at the Purchase Online box at the sub-menu and you will see all articles at once or choose a product category to the right. 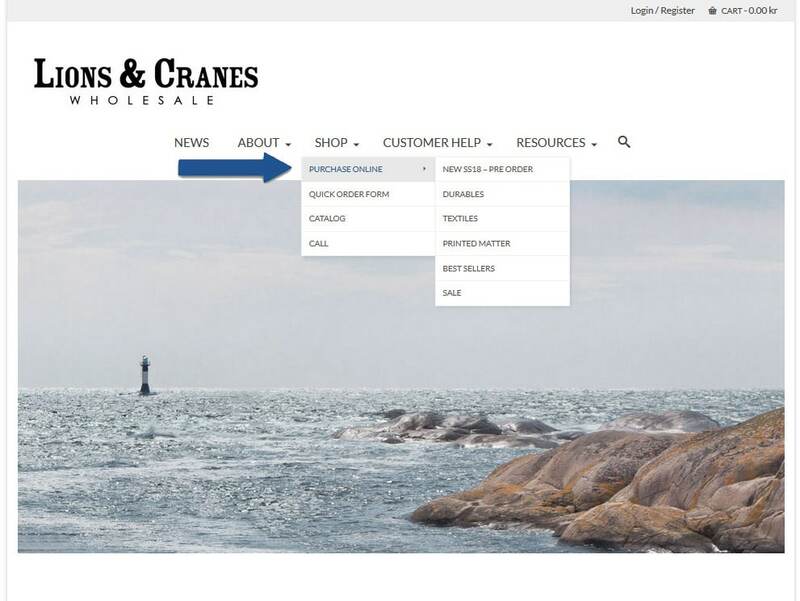 Browse through our online shop and click the drop-down menu to sort the products in the order you prefer. 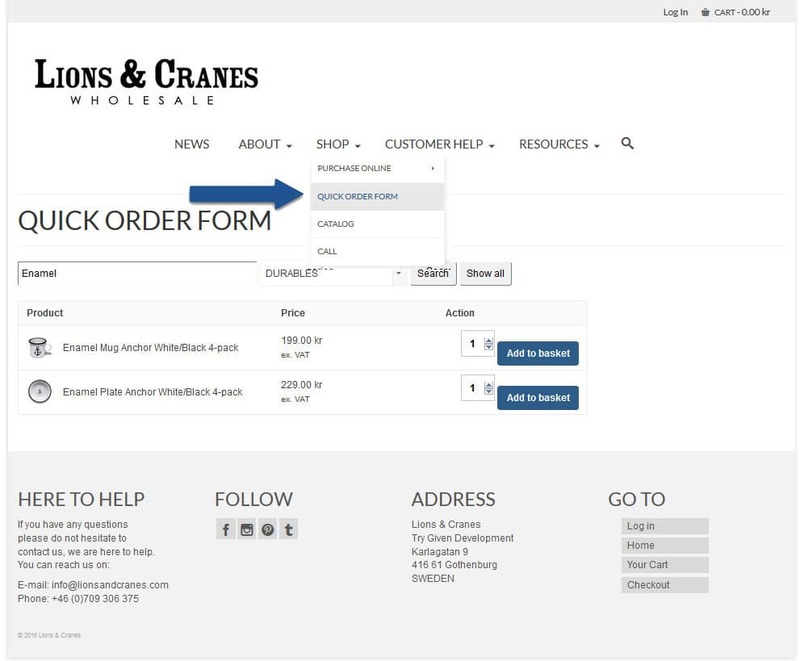 In order to view the prices you need to be logged-in as a B2B customer, click here to log in. Buying from overseas? Please let our currency converter guide you, see sidebar. Choose SEK (Swedish Krona), EURO, GBP (Pound Sterling) or USD ( US Dollars). 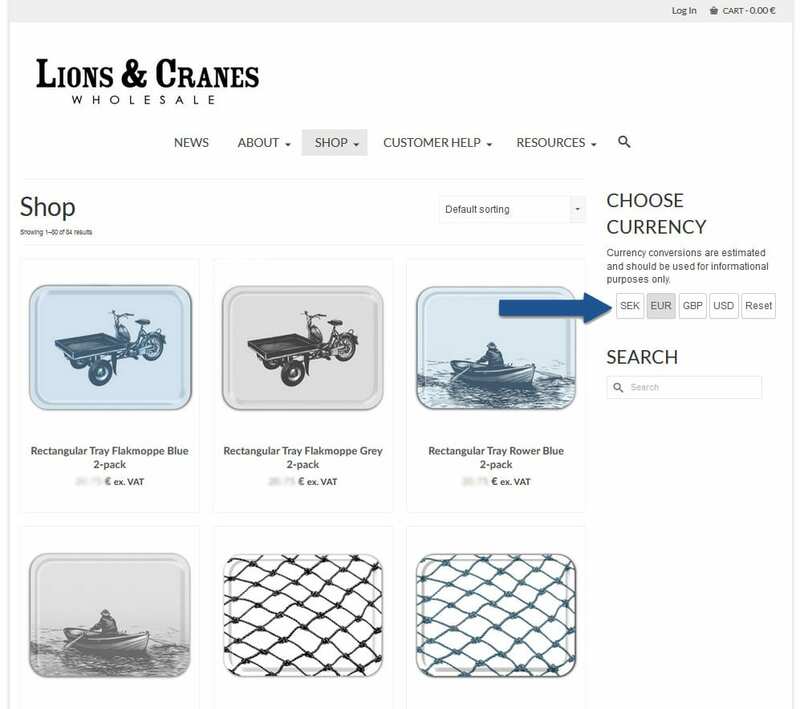 If you are browsing on a tablet the currency converter will be placed at the bottom of the page. 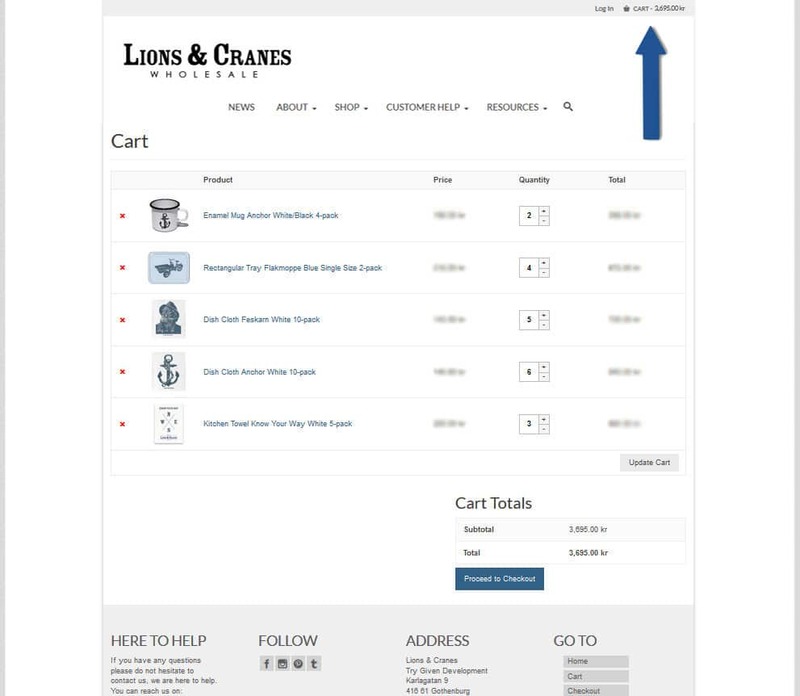 You need to be logged-in as a B2B customer in order to view the prices, see above. Know what product you are looking for or looking to re-fill? Buy quickly with our convenient order form. You can always see your shopping cart at the top right corner. Double tap to see what articles you have placed in your cart. 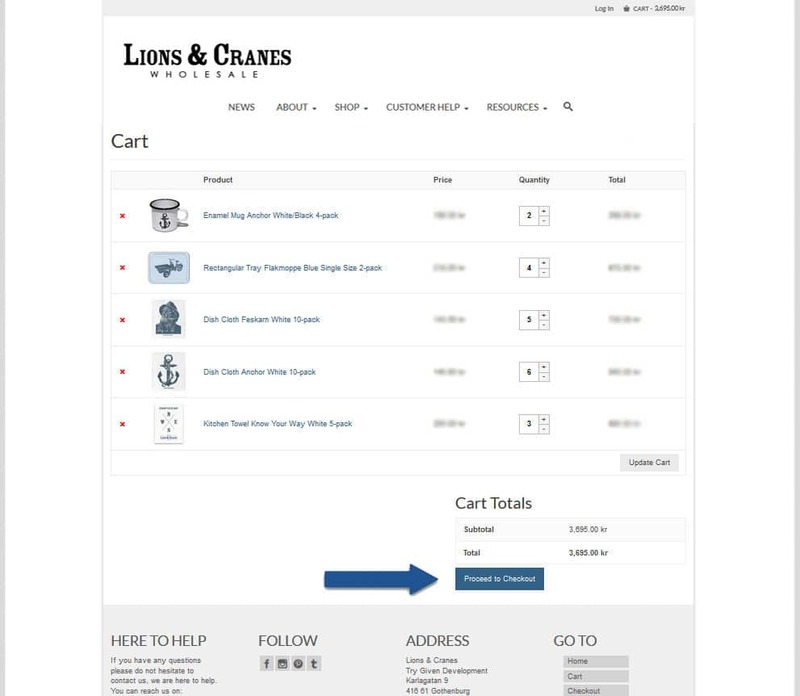 Once you are done shopping- click proceed to checkout at the cart to finish your purchase. Enter your Billing and Shipping Details. You can also add a message to us about your order for example if you would like a delivery at certain date. Read the Terms and Conditions and confirm. 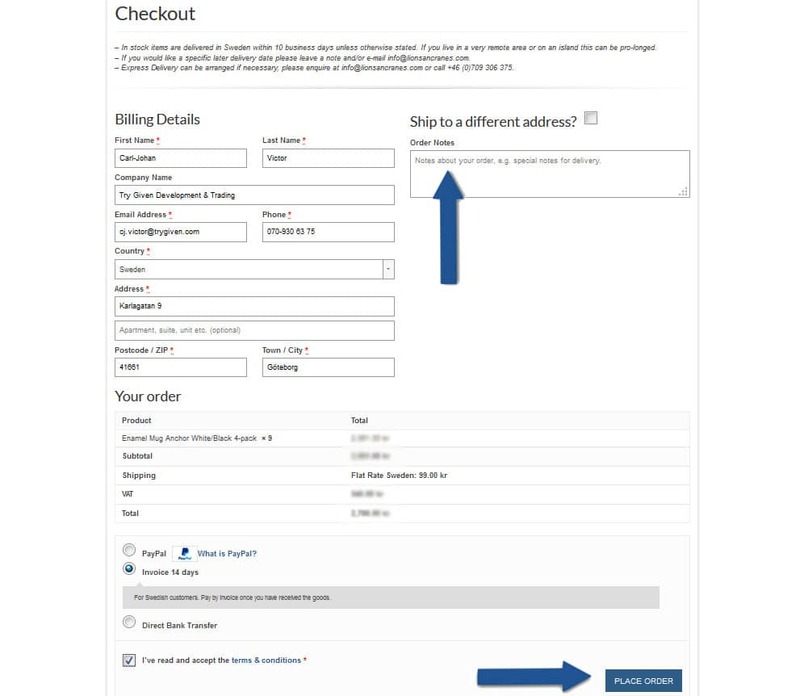 Once you have placed your order you will receive two e-mails, one to order confirmation to confirm your purchase and one shipping notification when your order is dispatched. If you have any questions please do not hesitate to contact us on info@lionsandcranes.com.